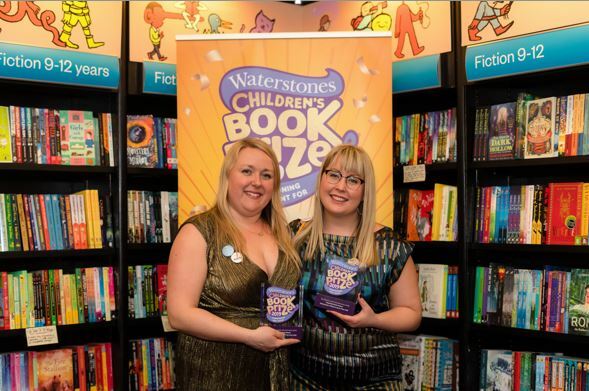 The Girls, a children’s picture book written by Swansea-raised Lauren Ace and illustrated by Cardiff-based Jenny Løvlie , has been named the winner of the Illustrated Books Category at the Waterstones Children’s Book Prize 2019. Announced last night (Thursday 21st March) at a ceremony at the bookseller’s flagship shop in London Piccadilly, Ace and Løvlie share the prize consisting of £2000 and the promise of ongoing commitment to their respective writing and illustrating careers. Inspired by the author’s own nurturing and supportive female friendships, The Girls follows four friends from childhood into adulthood, celebrating difference, individuality and friendship that lasts a lifetime. Being as different as they are the same, each girl takes her individual path, whilst always staying part of the others’, wherever life will take them. Lauren Ace, a former Waterstones bookseller, grew up in Swansea before moving to London where she has worked in publishing for over ten years, managing campaigns for World Book Day and the Waterstones Children’s Laureate. Jenny Løvlie lives in Cardiff. Originally from Ekkerøy in northern Norway, Løvlie draws inspiration from the Arctic landscape, flora and fauna and her style is bright and colourful with lots of texture, plants and animals. The Waterstones Children’s Book Prize has been championing new and emerging talent in children’s writing for fifteen years and is unique in that it is voted for solely by booksellers. Already announced as the winner of the Younger Fiction category, The Boy at The Back of the Class by East Ham’s Onjali Q Rauf secured the accolade of overall winner of the prize, alongside which The Girls by Lauren Ace and Jenny Løvlie won the Illustrated Books category and Tomi Adeyemi’s Children of Blood and Bone took the Older Fiction category.